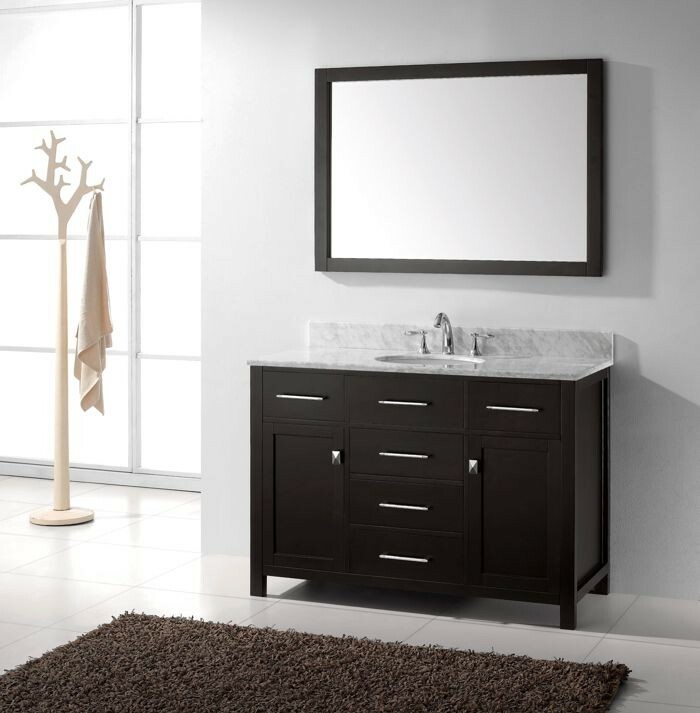 The Caroline collection has a beautiful, clean design that will rejuvenate any bathroom. It is constructed from a high quality zero-emissions solid oak wood, finished in a classic espresso color and equipped with state of the art, soft closing door and drawer technology. 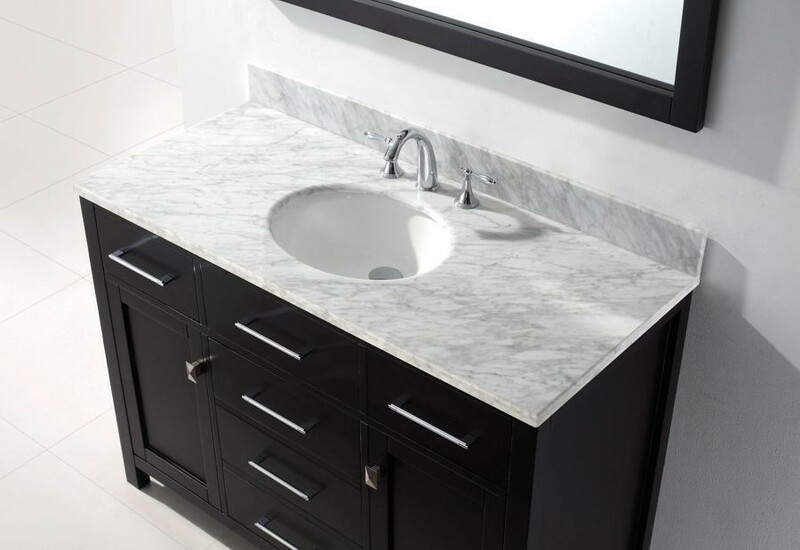 Take notice in the beautiful 1 inch countertop edge thickness Italian Carrara White Marble countertop that’s sheer size alone guarantees that it will outlast the rest. 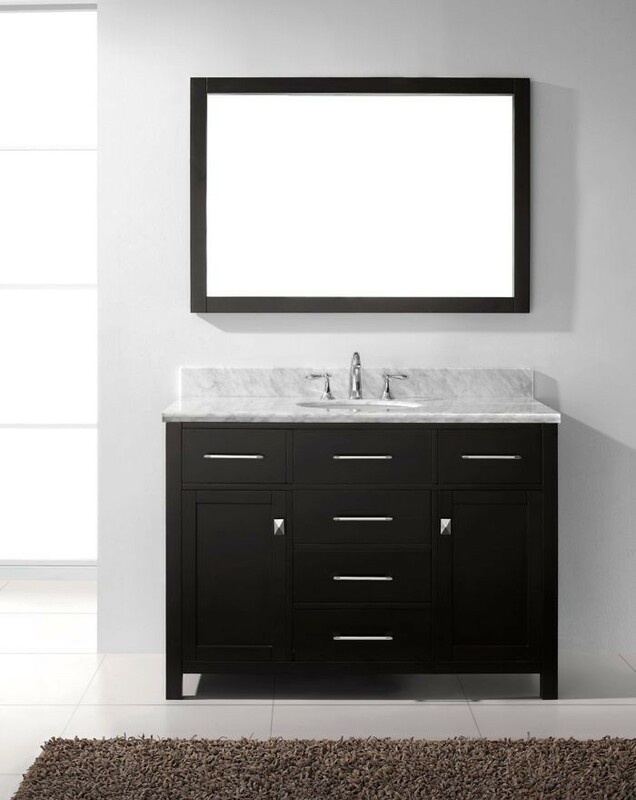 Virtu USA has taken the initiative to change the vanity industry by adding soft closing doors and drawers to their entire product line. The premium soft-closing hardware not only increases the safety of the vanity, but also its lifetime reliability.